The new HiBore crown moves the center of gravity low and deep, promoting a high-launch, low-spin trajectory. Its updated structure compresses at impact and decompresses at launch for faster ball speeds. It all adds up to the most distance-boosting HiBore Cleveland has made yet. Compressing and decompressing with explosive energy, Flex-Fins launch the ball with remarkable speed, even on heel and toe miss-hits.This added ball speed and forgiveness make Launcher HB the longest, most forgiving driver Cleveland has ever made. 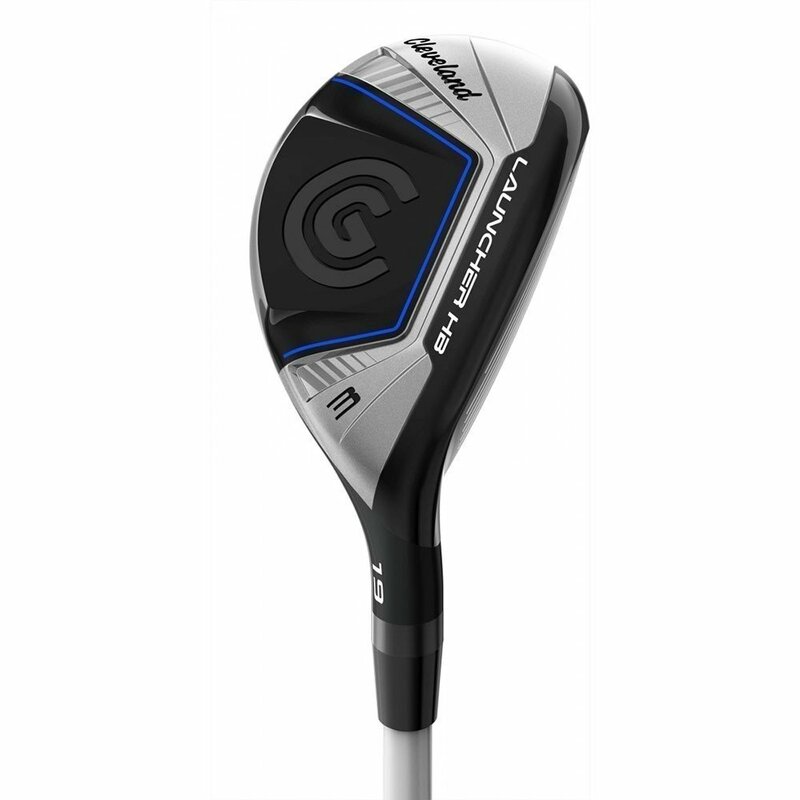 Launcher Cup Face increases COR across the face for the hottest driver with the largest sweet spot Cleveland has ever designed. Added ball speed means you get more distance; consistent ball speed across the face means you get more forgiveness. HiBore Crown: The new HiBore Crown promotes higher ball speed through the crown flexing at impact and a desirable high-launch, low-spin trajectory from a lower center-of-gravity. Flex-Fins: Unique Flex-Fins compress at impact transferring more energy back to the ball for longer distances, especially on heel and toe impacts. Cup-Face: New Launcher Cup-Face creates higher COR across the entire face for unmatched balls speed and distance. Ultra-lightweight Hosel: Ultra-lightweight hosel design redistributes weight low and deep for a higher launch and more forgiveness.